Home » Features » Is the tenant fees ban our fault? My comments may appear controversial to some but may well ring true with others. In many respects this growth was good for the industry; many more private landlords and therefore more properties available to rent. 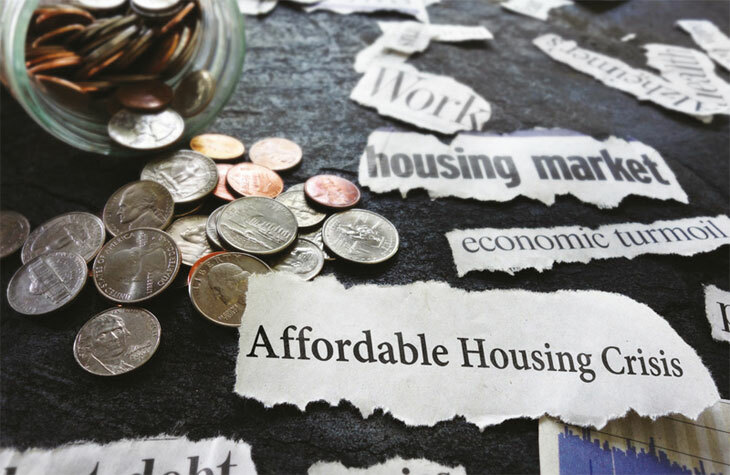 The lettings sector is constantly blamed for the shortage of affordable housing – yes, rents are high and yes, there is a shortage of available rented accommodation. Imagine then if the above laws had not been introduced! There would hardly have been a lettings sector at all – only the social sector. The problems have arisen due to the fact that property prices in the sales sector have increased so drastically that young people can’t buy so need to rent. Politicians and journalists should stop blaming the lettings sector for the housing crisis. One of the effects of the growth of the lettings industry was competition for fees. New, often unqualified, agents offered ridiculously low fees to attract clients. Others had to follow. In order to make up the difference agents started to charge more additional fees to tenants – and landlords. At a recent ARLA Regional Meeting I was speaking to two people who I used to employ and who I trained. They are now managers in another agency. They are not overly worried about the introduction of the Tenant Fees Ban. They told me that they have continued to adopt the fee structure that they learned when they worked for me! My fee structure hardly changed over the years. I charged a certain percentage of the rent for Full Management, Let and Rent Management and Letting Only. This percentage appeared to be high as the years passed but I sold our service on the premise that ‘we were the best’, ‘we were members of ARLA’, ‘we had been trading since 1974’, ‘ we will prove ourselves to be professional’ etc. Prior to the existence of ARLA or any other professional body for residential lettings, the advisory body would have been the RICS. I followed their professional fees’ advice when starting in business. The only fees we charged tenants was a reasonable 50 per cent of the cost of the tenancy agreement and the inventory check-in. (Charges for tenancy agreements have gone through the roof with some agencies charging exorbitant fees.) In time Referencing Agencies were introduced and tenants paid for their own references but that was all. Tenants were not charged for renewals. We have been the author of our own destiny – the tenant fees ban should never have happened. Tenants also became more ‘savvy’ and realised that they could view different properties through a variety of agencies and reserve a property from each – while they made up their mind. This became a major problem for agents so tenants were asked to pay a ‘holding fee’ which would have been non-refundable should they back out when work had been carried out. This fee would be deducted from final monies before move-in i.e. taken from the rent and deposit. It is important to remember that the landlord is ‘The Client’ and the tenant is ‘The Customer’. The Client should be paying the fees, not the Customer. I truly believe that we have been the author of our own destiny – had charges to tenants not gone through the roof, the Tenants Fee Ban may never have happened. We now have to make the most of this change when it happens. Sadly both Government and journalists have decided that it is Landlord bashing time. We appear to have gone full circle from the 60s and 70s to now. The talk is for longer tenancies, the abolition of Section 21 notices, penalties and rent repayments. Does nobody remember the past? Private landlords hardly existed unless letting their own home for a short period. The lettings industry is now a major part of the economy and is an absolutely essential large part of the housing sector. Landlords and agents must prove and show that the industry can work well – indeed in most cases it does work well. Good quality housing is provided for thousands of tenants; it is only the money-grabbing, appalling landlords who spoil it for the rest. Government and Local Authorities must find the funds to concentrate on removing these people and these properties from the marketplace. We must not be short-sighted; draconian anti-landlord rules will only reduce supply and therefore increase rents.